Geek Fuel January Box | The Arcade Archives! Mystery boxes are the hot new thing to order and enjoy. I found Geek Fuel by accident and I’m really glad I did. At least currently I am, this was my first box. I can say they do have a very attentive customer service department. Lets get to the unboxing shall we? I love the extra layer or suspense you get when you open the box and you don’t see everything right away. Plus I love the cute little Geek Fuel robot!! 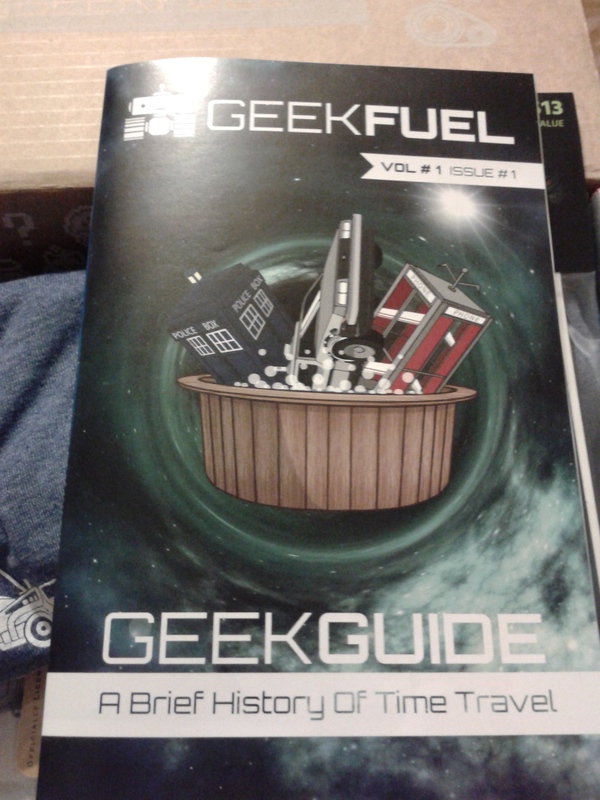 Inside every month you will find a Geek Guide! This is very much like the one you would find in Loot Crate or any of the other mystery boxes. It tells you about the items in the box but it also offers an inventory so you know if there is a missing item. This was the first item in my box! I thought it was pretty cool even though I haven’t had a chance to download the game yet. I love getting cyber items mixed in my boxes it is a gamers dream really. 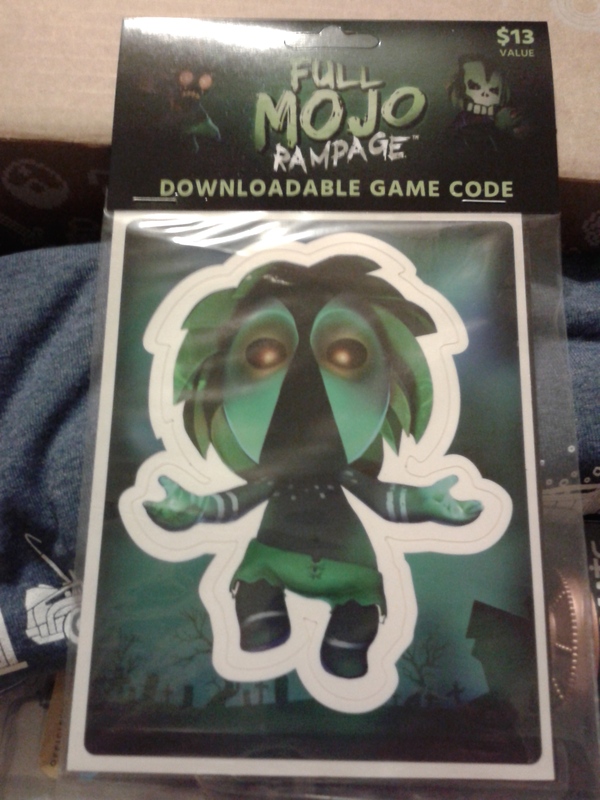 This one also came with a sticker of the Mojo guy. I can’t wait to play this game. I know we all recognize this shield. 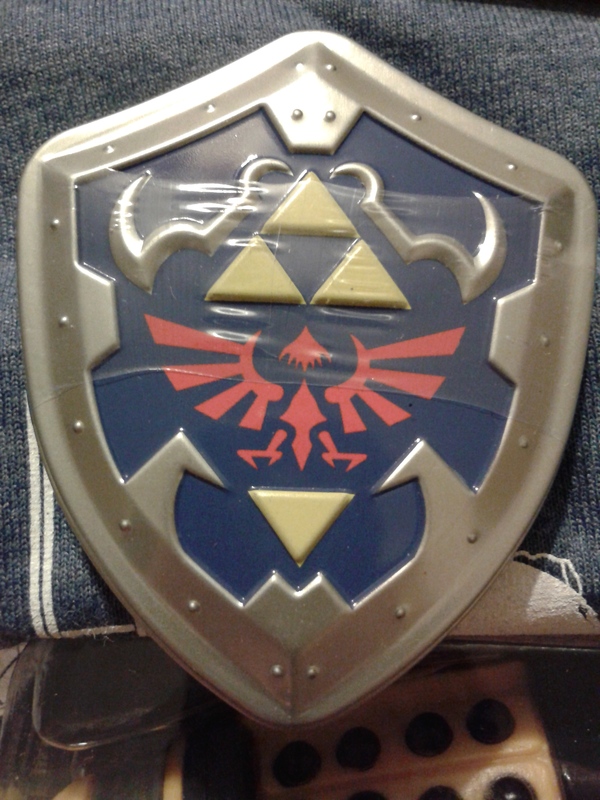 This is actually Legend of Zelda mints. I love the tin. The mints are bad either. This is a really fun item. Its not a huge tin it’s about 2 inches long and a little over 2 inches wide. But I think it will be great to hold some change for the tolls once the mints are gone. This was another one of the smaller items in the box. 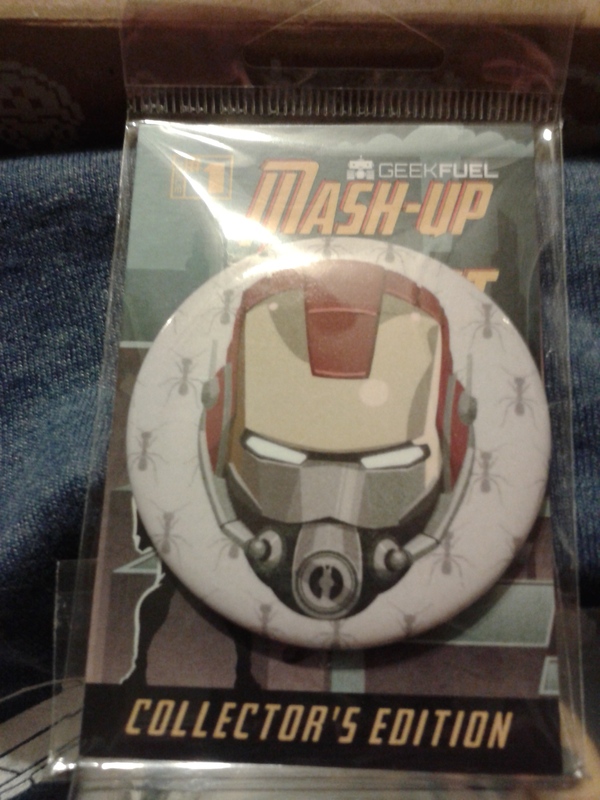 It’s an Iron Man and Ant Man mash up magnet. Which looks amazing on my fridge next to my other super hero magnets! It’s about the size of a half dollar so it’s not a bad size. 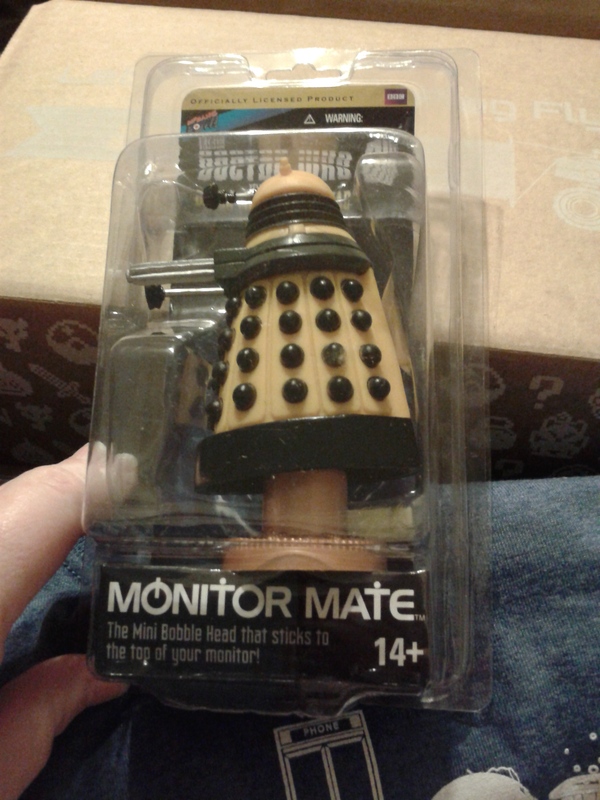 Can I just take a minute to say how awesome this Dalak monitor mate is?? Unfortunately for me I didn’t get to keep this item! As I was photographing the contents of the box my mom yelled claimed and stole it!! This is a great item though. I was really impressed by an item as fun as this. For my Trekkies out there!!! 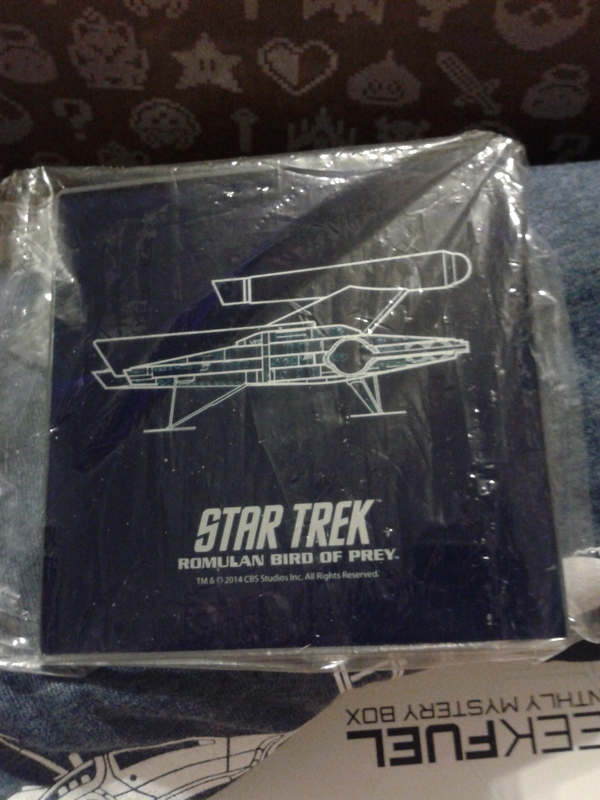 This is a Romulan Bird of Prey glass coaster. Although you might not be able to tell the coloring in the photo it’s navy blue and white. It’s very spiffy! There is also little feet on the bottom of it so it’s not just a flat glass tile. 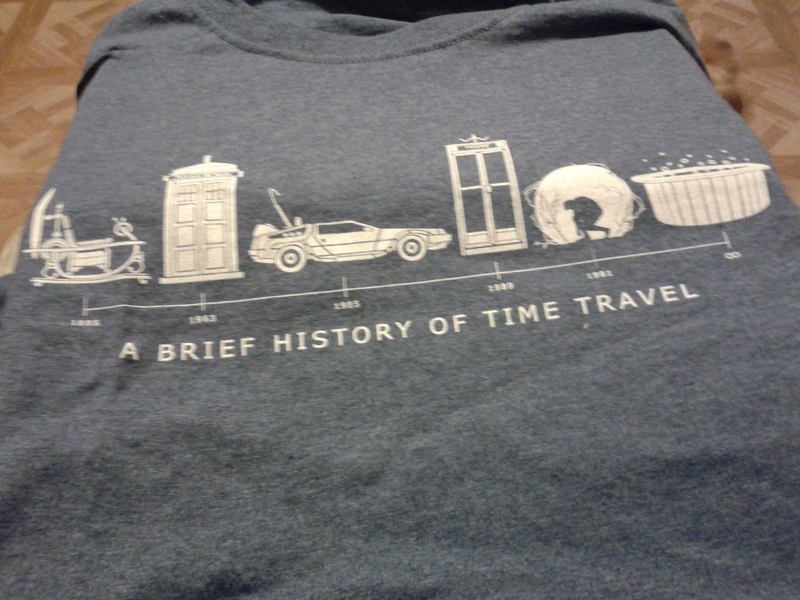 Lets not forget this exclusive tee shirt! 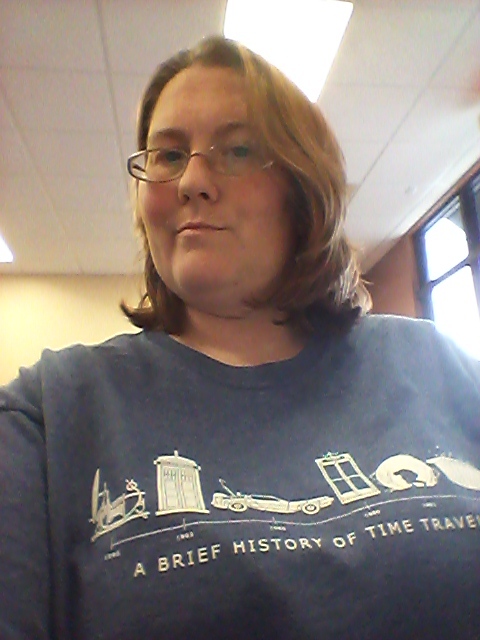 I am currently enjoying this fantastic shirt as I type this! Not only is it awesome but I think it looks good too!! I’m rocking the heck out of this tee!! I did have to explain it to a couple of people but I figure all the awesome geeky people totally get it!!! 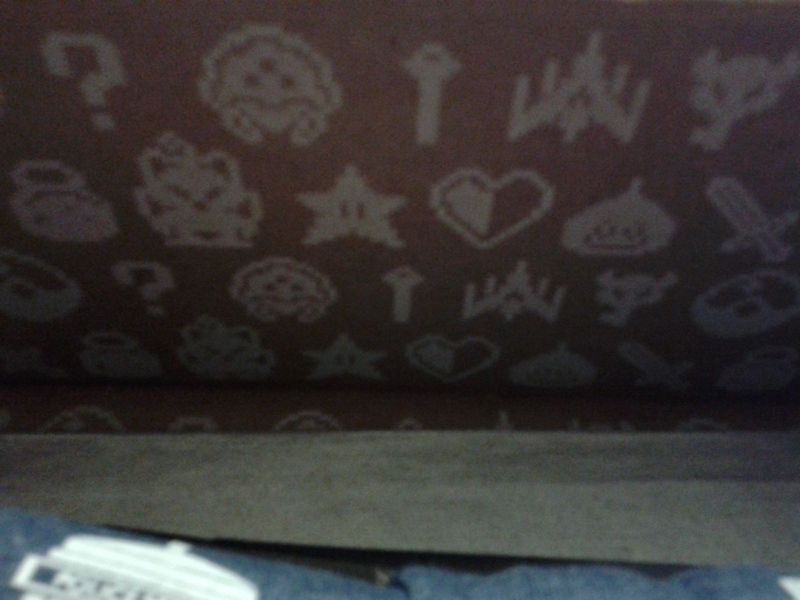 Last but not least look at the killer printing on the inside of the box! I love this so much!! Over all I thought the value of this box is really good for what I paid. 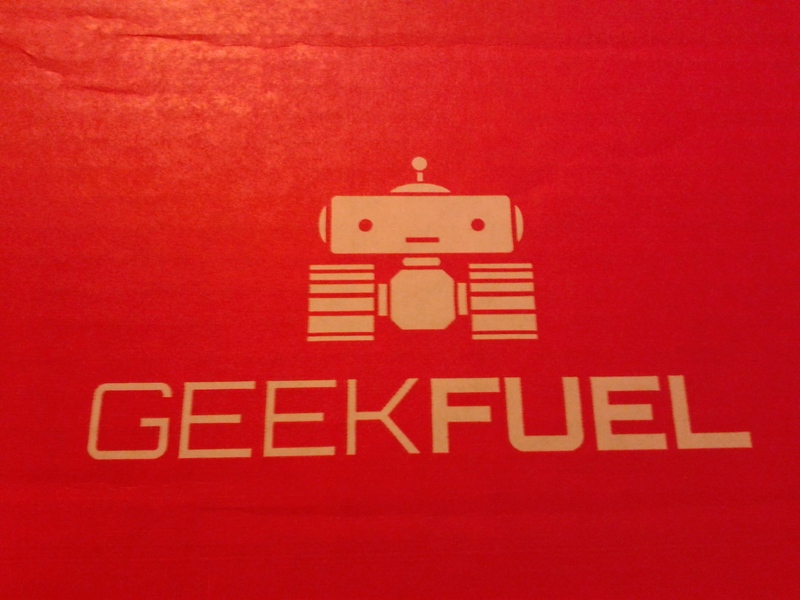 Mind you Geek Fuel is a little bit more then Loot Crate in price. It works out to be about $5 more!! I didn’t post this as a spoiler alert because everyone should have gotten their crates by now. Bottom line I think Geek Fuel is worth the money. I am looking forward to this months box!! 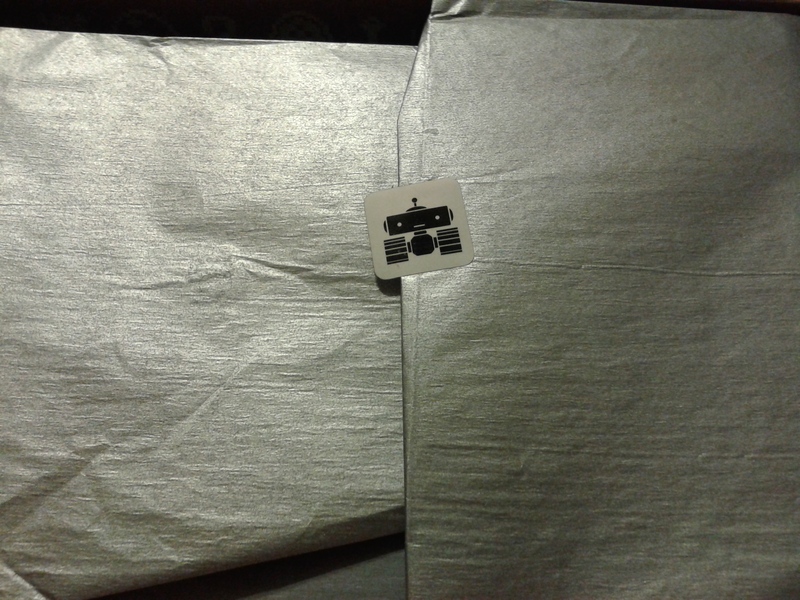 This entry was posted in Archive Entries and tagged Fuel, Geek Fuel, Loot Crate, Mystery Boxes, unboxing by ravenheather. Bookmark the permalink. LOL I do agree!! If I do find one filled with yummy snacks I will review it! !